Hav Habibullah Qureshi hailed from Batapora village, which is close to the LoC in Kupwara district of north Kashmir. He belonged to a military family, as his father also retired from army and he was inspired by his father to join the army. He belonged to 1 JAK Li unit of the J&K Light Infantry, which was deployed in J & K and was stationed in the Sunjuwan camp of 36 Brigade during 2018. Soon Army personnel in bullet-proof vehicles got engaged in the operation to rescue people from the family quarters in the rear side of the base. Subsequently, the army’s special forces also joined the operation against the terrorists which continued for nearly 72 hours, when all of them were finally neutralized. 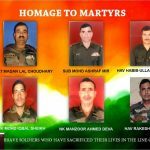 During the intense operation with a heavy exchange of fire, Sub Mohd Ashraf Mir, Hav Habibullah Qureshi, Hav Rakesh Chandra, Nk Manzoor Ahmed Deva & Lance Naik Mohd Iqbal Sheikh got severely injured and later succumbed to their injuries. 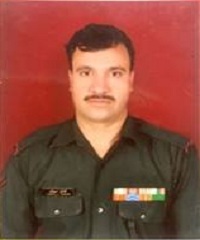 Havildar Habibullah Qureshi was a valiant and committed soldier who laid down his life in the service of the nation. He is survived by his parents, wife Hamida Bano and six young daughters. I salute you and your family for the sacrifice. Your supreme sacrifice will definitely make enemy weak. 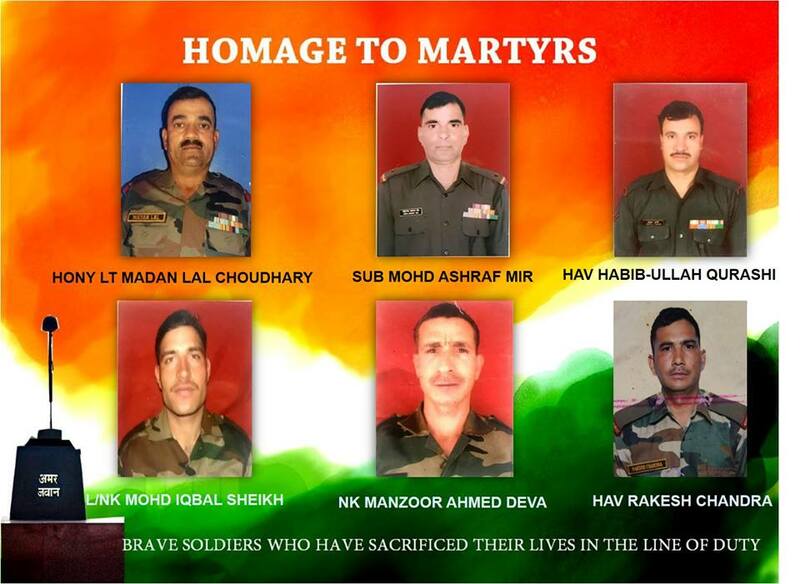 We salute you, other martyrs and many other unsung heroes. Grateful Nation and we citizens will not let your sacrifice go waste. May martyrs’ soul rest in peace.